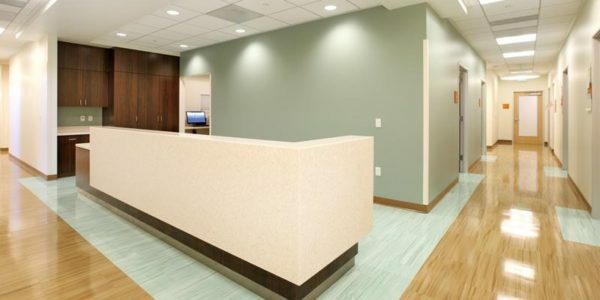 Bring together the most advanced healing technology in community healthcare along with state-of-the-art medical and surgical products, in order to provide excellent clinical outcomes through an amazing array of support services, resources, and nurse practitioners that few non-acute clinics across the country offer. 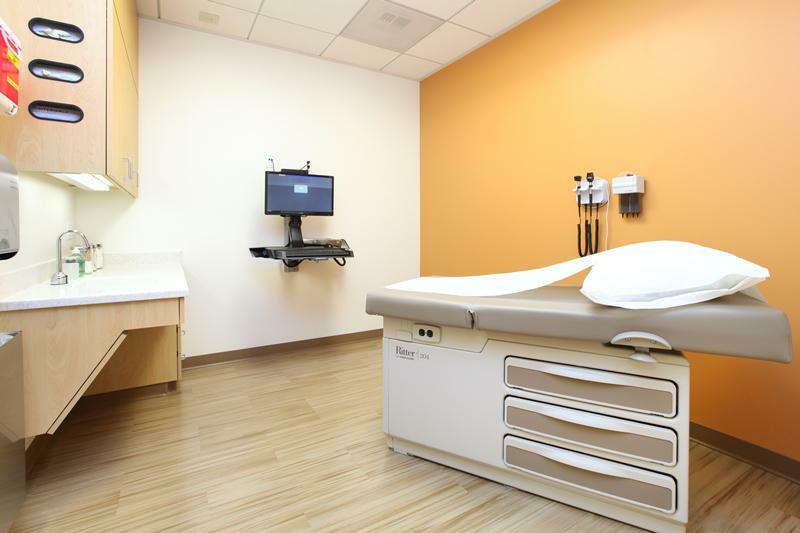 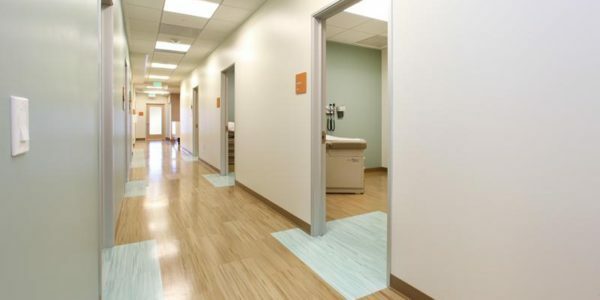 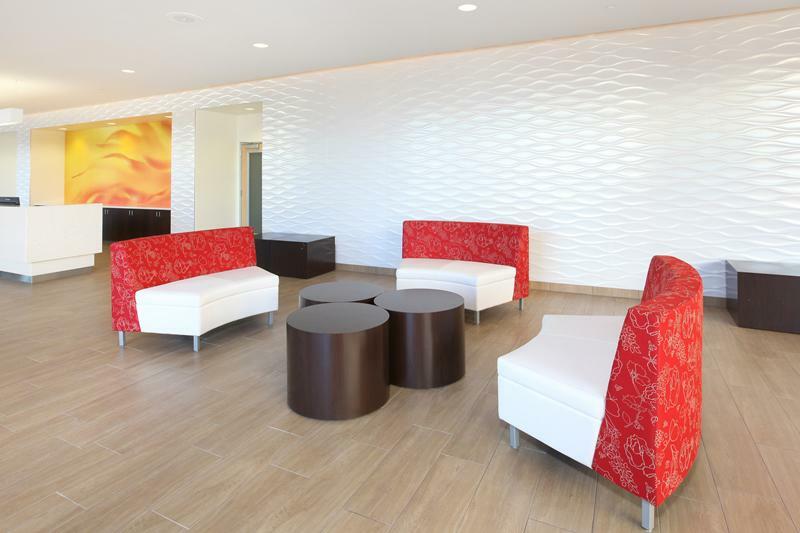 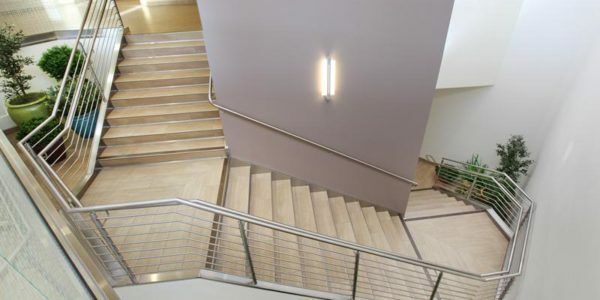 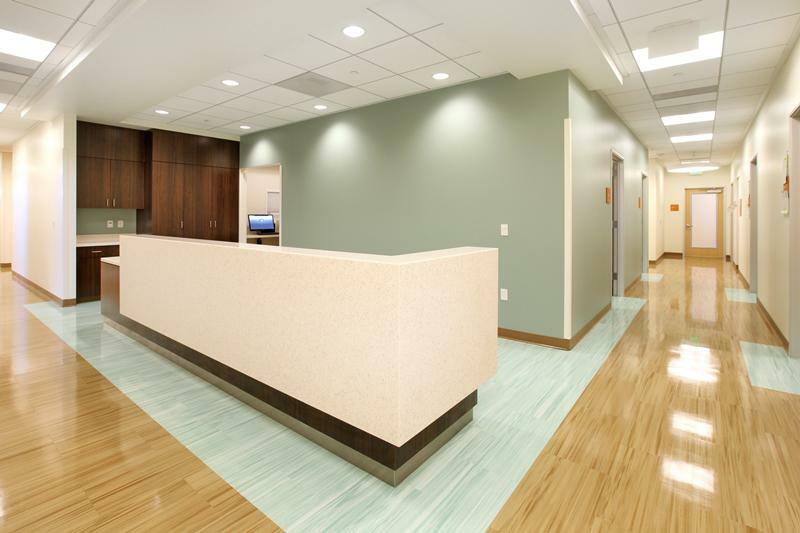 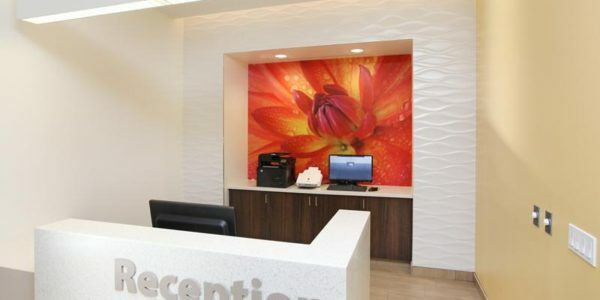 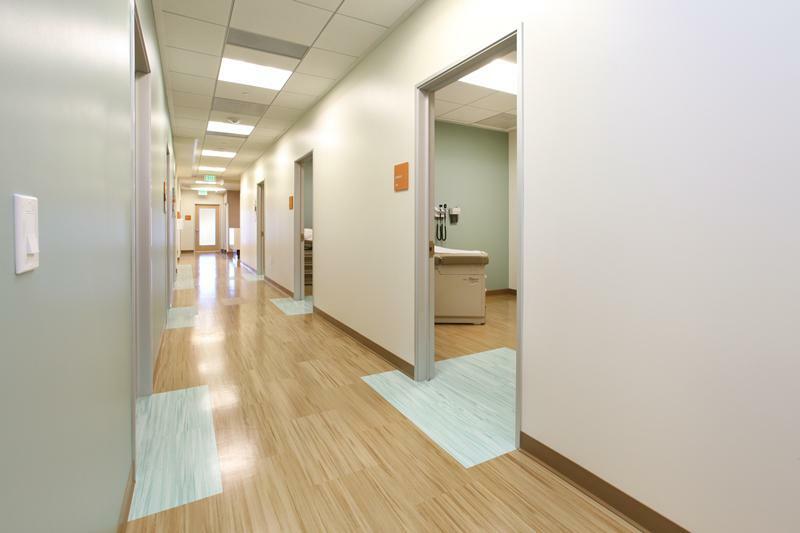 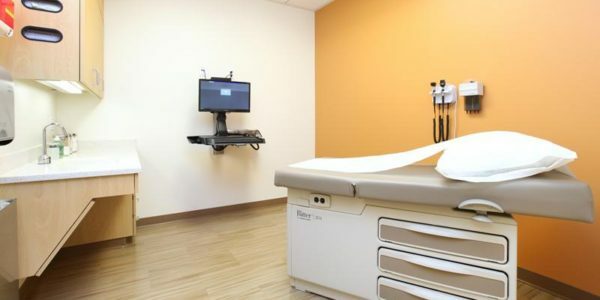 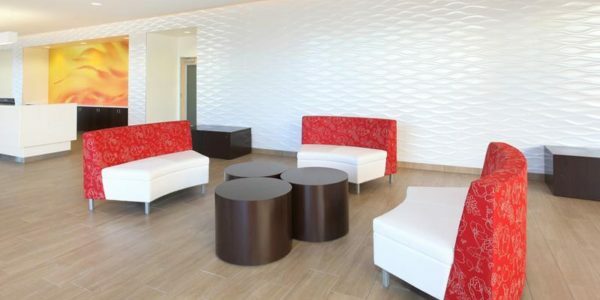 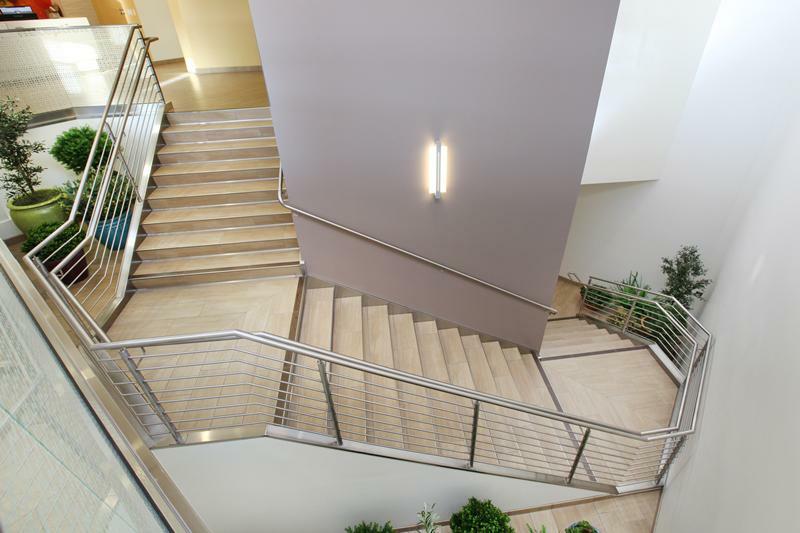 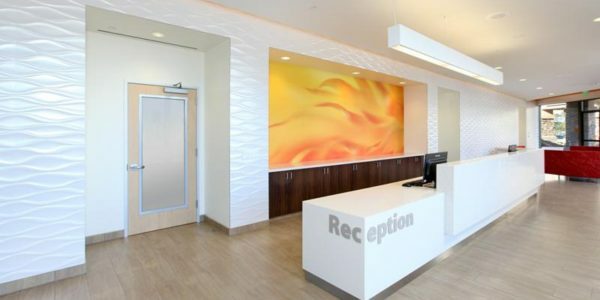 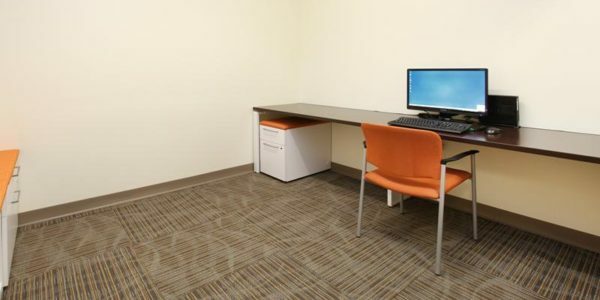 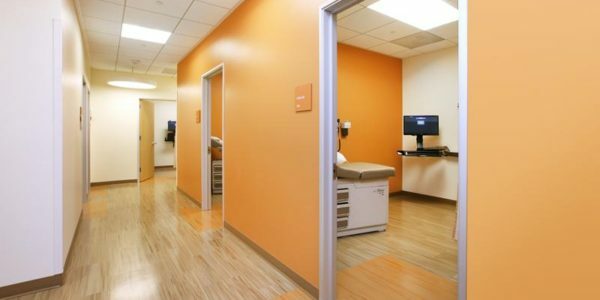 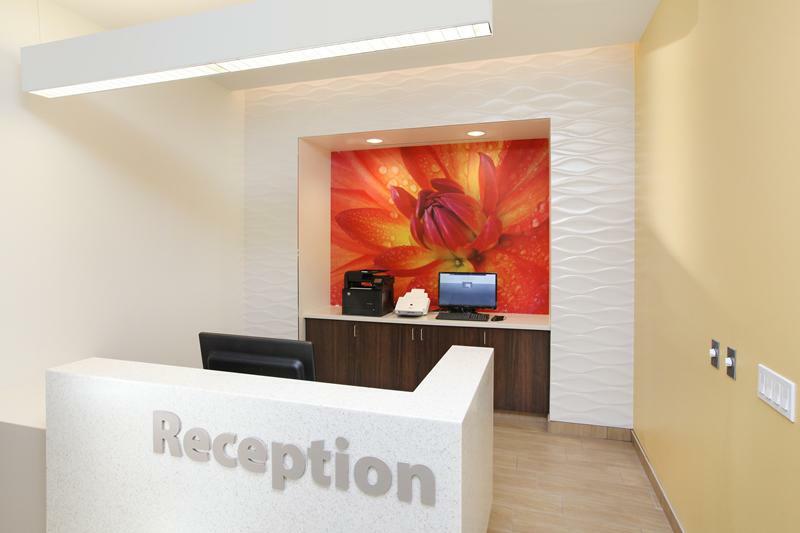 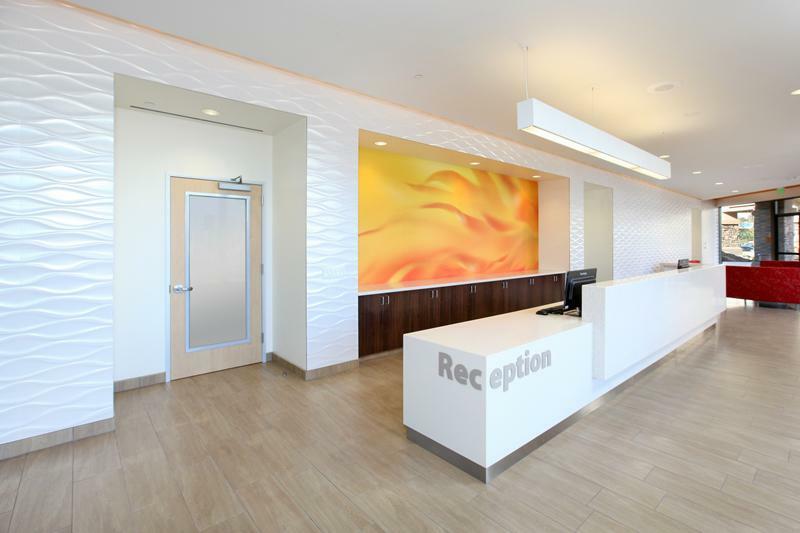 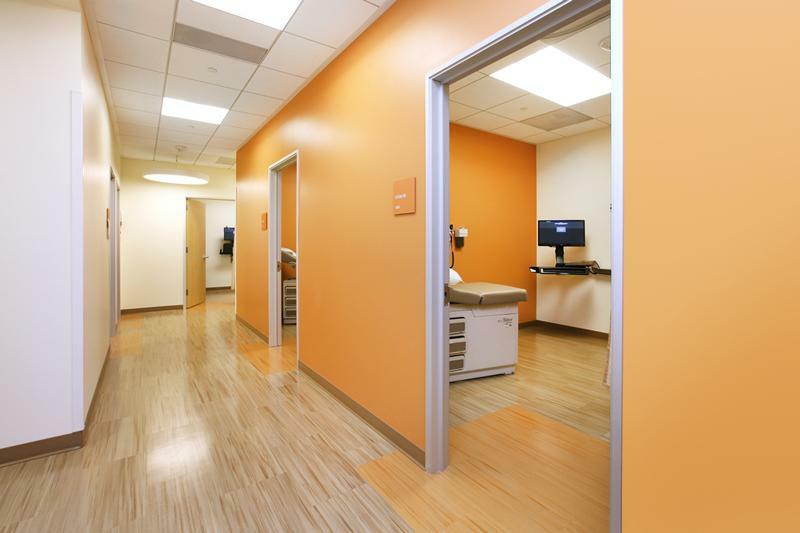 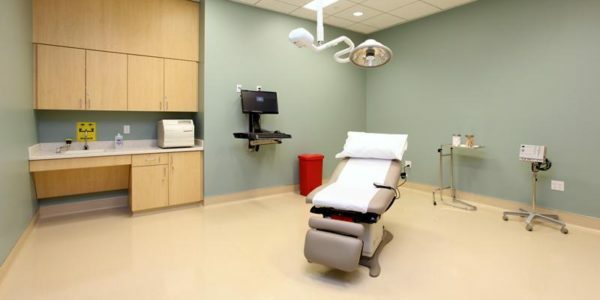 Extensive use of open space combined with the elements of environment friendly Bio Based floor covering materials like Armstrong’s Striations (new) to achieve the design focus of “Live Healthy”; to promote healing through nurturing spaces; and to empower patients through information and education. 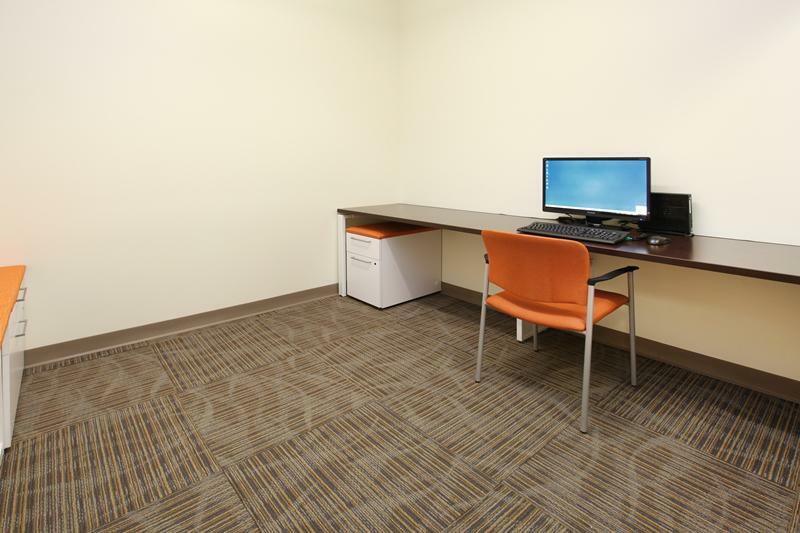 Convert a Borders book store space in a busy shopping center into the most advanced clinic in the county. 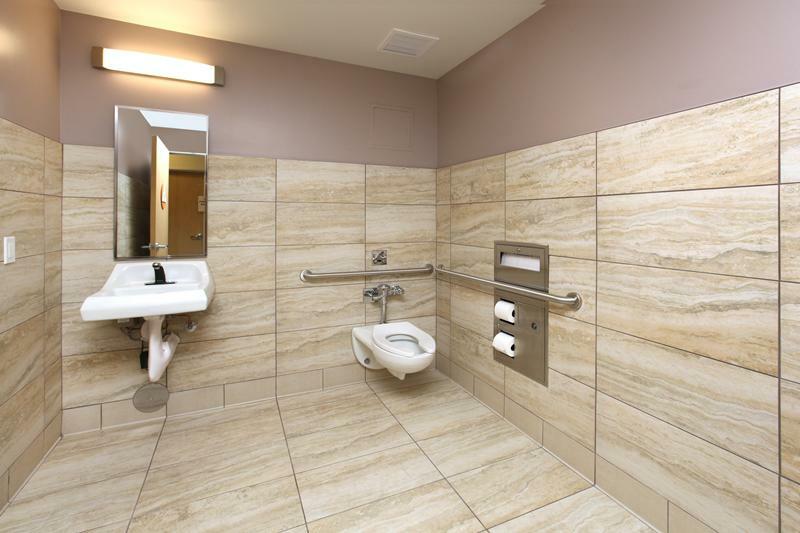 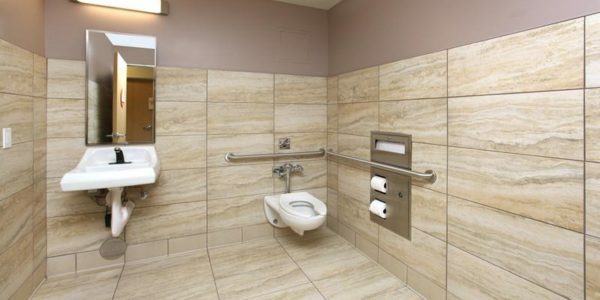 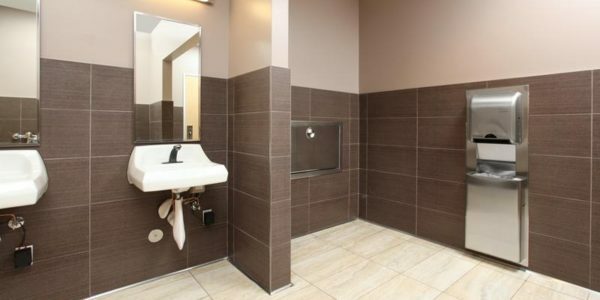 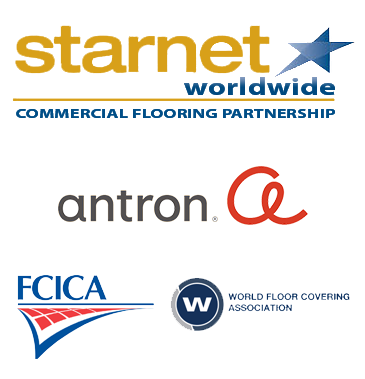 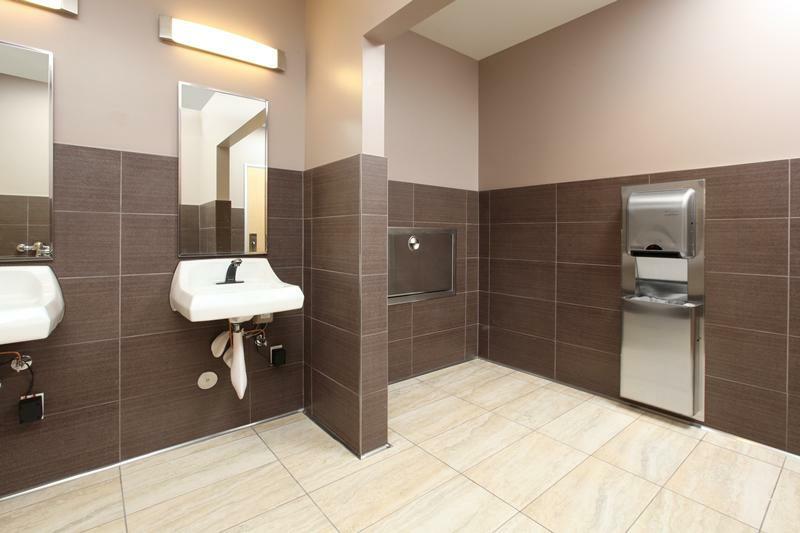 Dal-Tile combined with Schluter trim on both the top and bottom scores created an incredible bold and linear design element while achieving the statutory sanitary cleanliness codes. 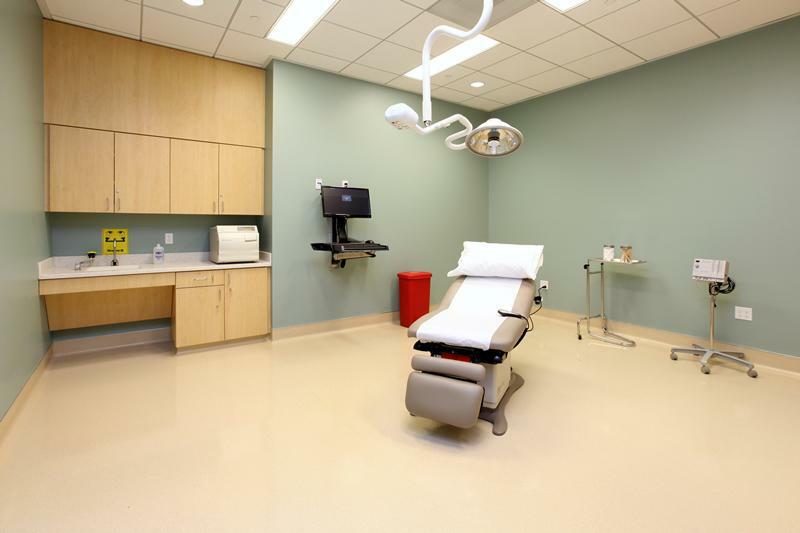 The design build of the facility also included an Ardex moisture mitigation system to allow for long term uninterrupted care.